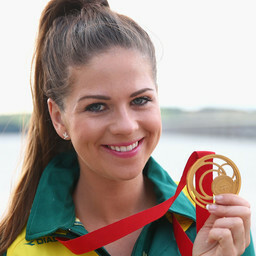 She competes in the womens trap events and has also won Gold Medals in the 2010 and 2014 Commonwealth Games. She won the 2014 Gold Womens Trap World Cup Event in Tucson USA as well as being the 2013 National Champion and winning the 2013 Gold World Cup. Laetisha went to her first Olympics in Rio in 2016 and finished a very credible 5th.